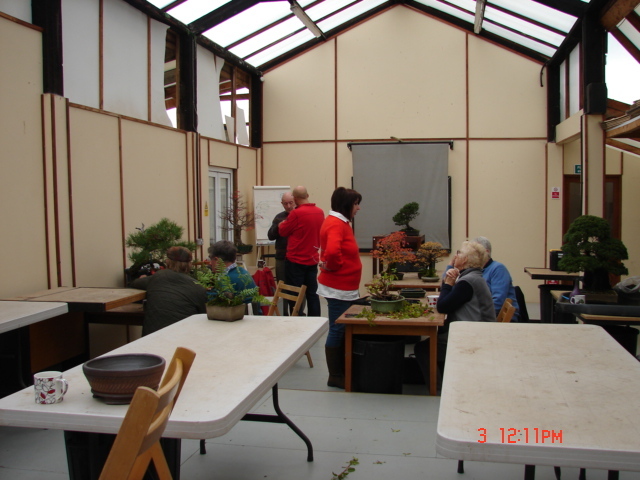 Following a couple of months of quiet Bonsai Chats, at least in terms of numbers attending, we had quite a busy day here at Willowbog Bonsai yesterday for our November get together. Thanks to those responsible for recording the day with my camera although, in fact, none of the photos really give a sense of the numbers of enthusiasts taking advantage of the facilities over the course of the whole day. I wonder just how many ” Chats ” you have attended over the many years that you have been a friend to Willowbog Mr. Gilbert ? 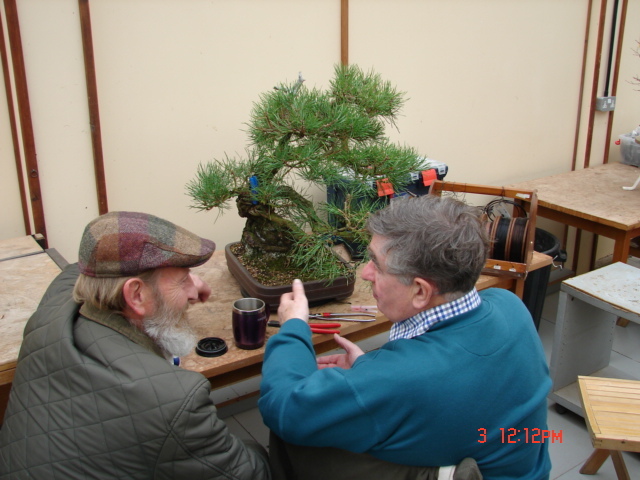 Same thing could be asked of Caz, seen here making suggestions to John H. about his very nice juniper. 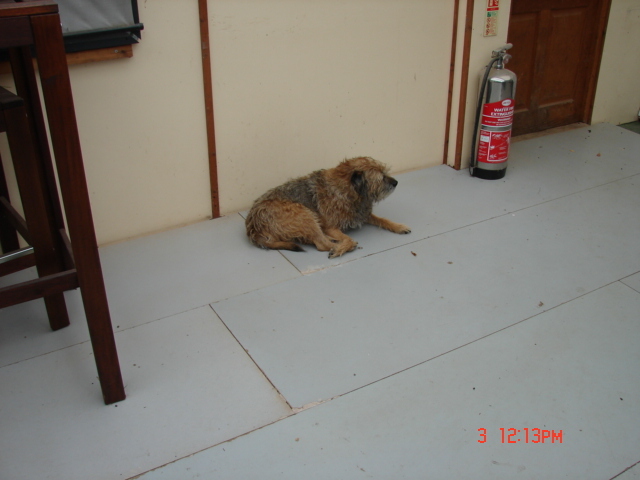 John’s neighbour Christine listens intently. And also the be-capped Terry, seen here chatting to one of Willowbog’s relatively newer friends, The G-man. 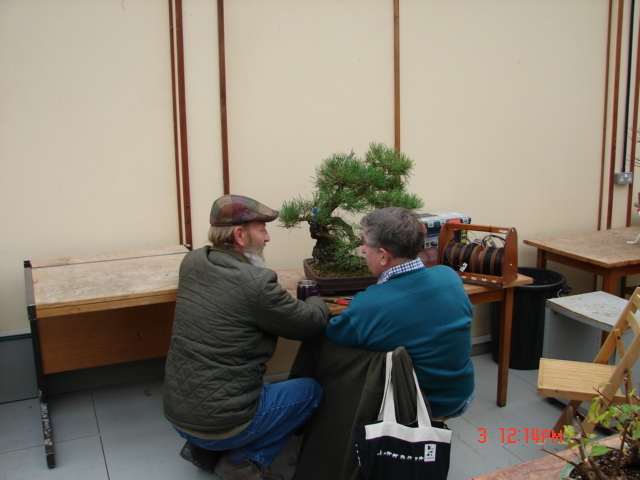 It is not clear whether they were actually talking about Peter G’s Scots pine that he began with Ryan Neil back in 2013, was it really that long ago? Whatever it was it brought a smile to Terry’s face. 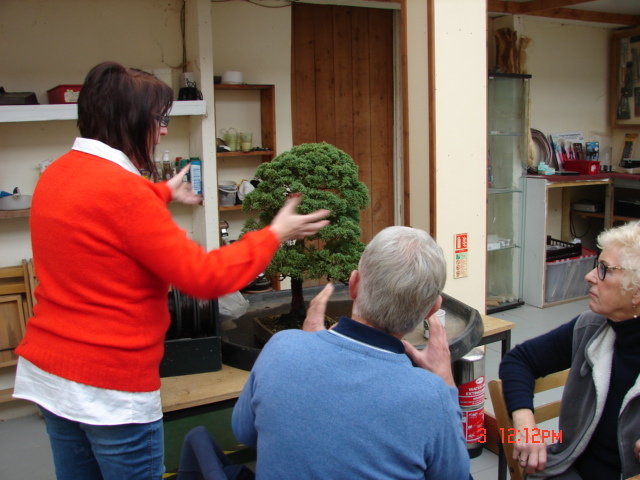 It could almost be a workshop scene ! 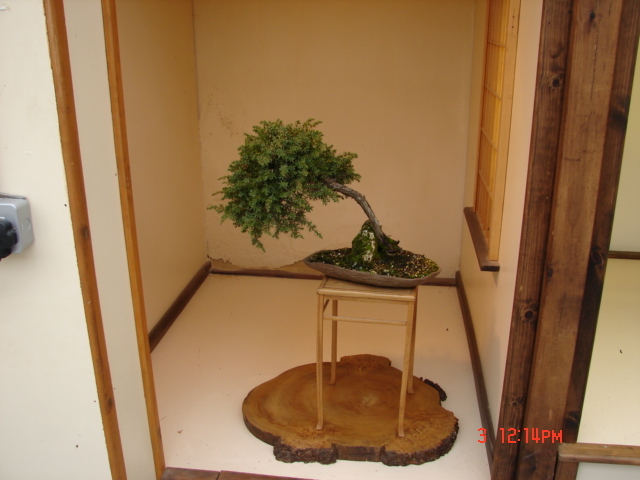 The owner nowhere to be seen but these bonsai belong to experienced enthusiast Diane H.
Caz’s Border terrier, Tyke, just chilling. 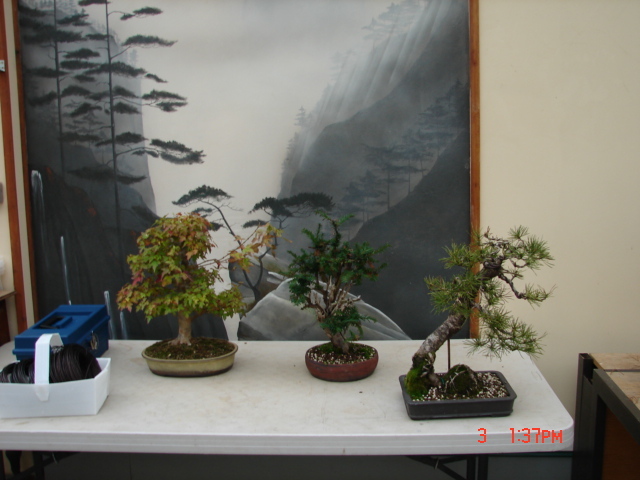 Quite an assortment of bonsai along for the day, a dwarf Mugo pine variety I think. 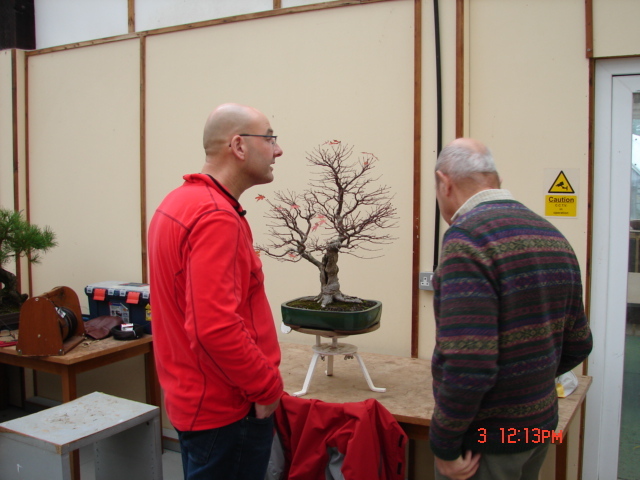 Willowbogger Antony chats to John S. in front of Antony’s lovely Acer palmatum that he has been developing with Peter Warren at his workshops here. 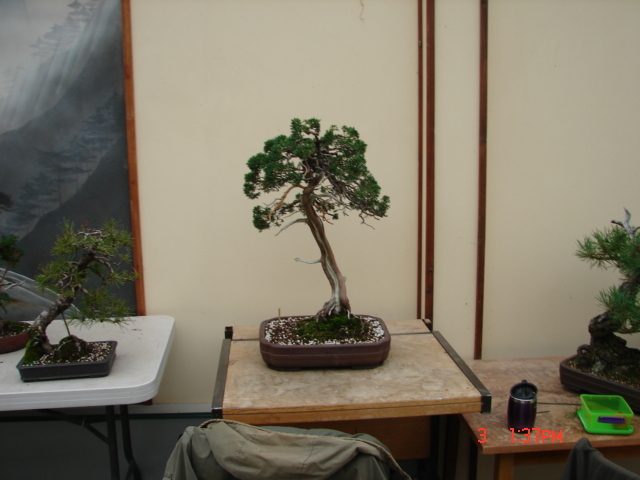 Antony is looking to change the Maple’s pot next spring. 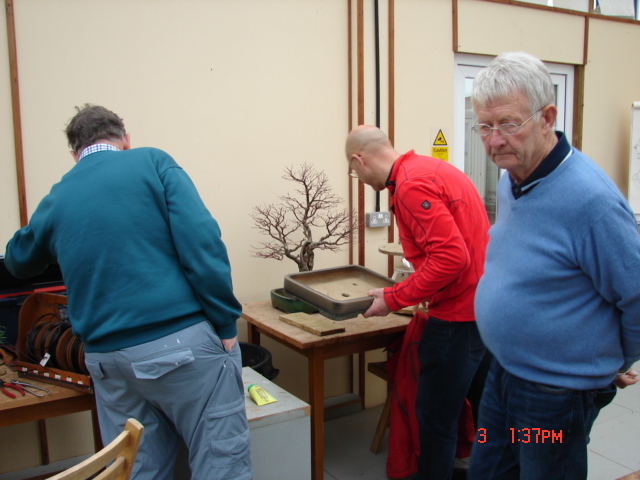 A nice Derek Aspinal pot is tried in front of the bonsai, there are always plenty of folk who are willing to give an opinion. 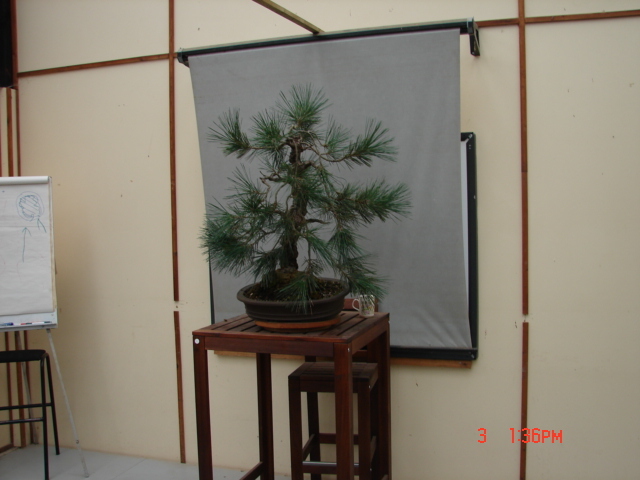 A very old and somewhat unkempt Japanese Black pine that was John G’s purchase on the day. 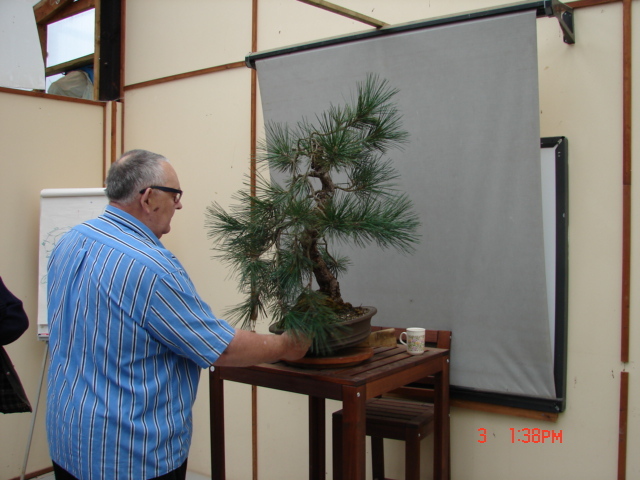 The very old, not so unkempt, but vastly experienced, Len G. give his view on the way forward for the tree. 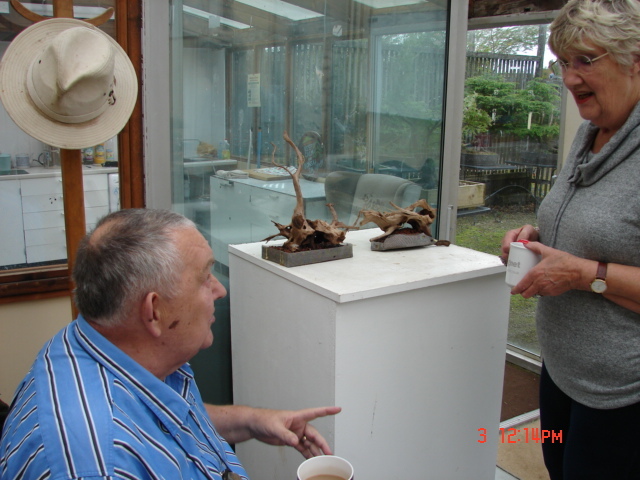 Diane H. chats to Len in front of some of the unusual accents that he is starting to develop. One of Caz’s accents. 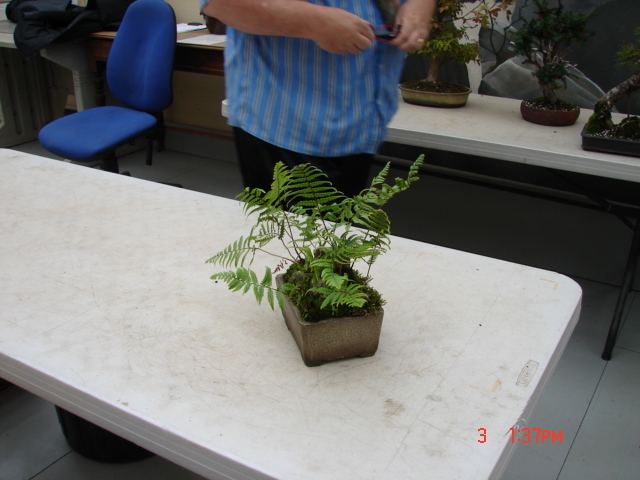 She has created several options to form part of the display that she has submitted for entry to next year’s Trophy Show in Belgium. 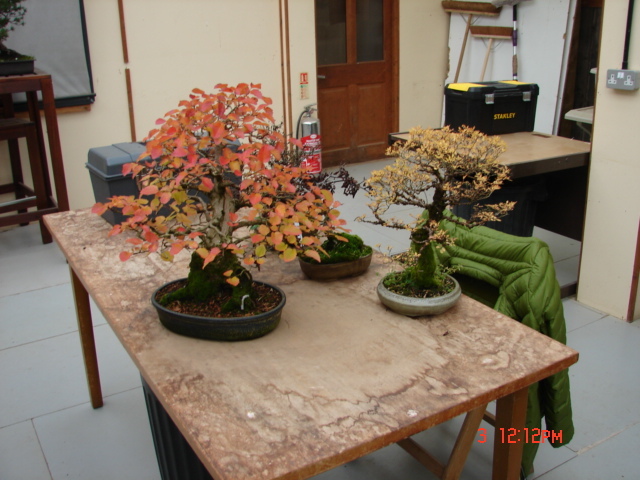 Some of Sam’s other bonsai about to start a period of care here at the nursery while Sam sorts out his domestic situation. 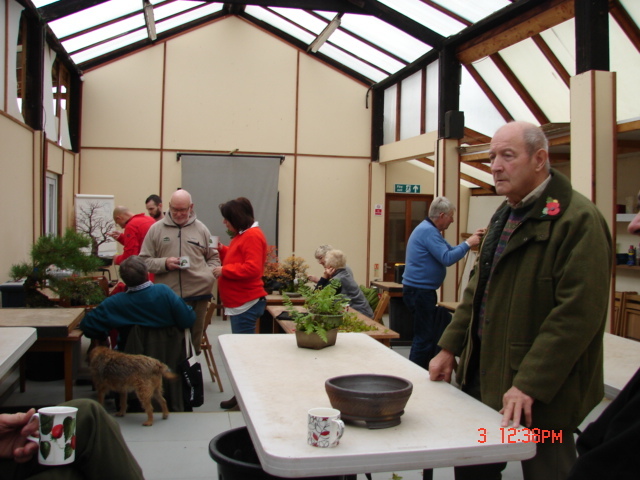 Lot’s of folk not making it into the pictures recording the day but all seemed very pleased that The Proprietor decided to reward them all with her first serving of this autumn of her famous soup at the lunchtime break, I hope that everyone remembered to make their contribution via the charity box in the refreshment room. 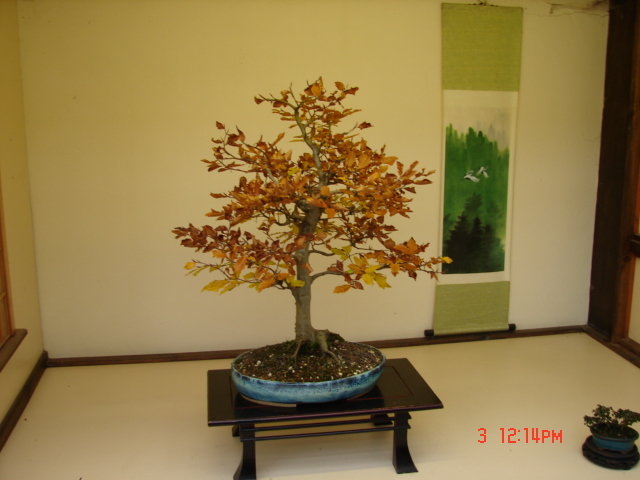 A Fagus sylvatica in the studio tokonoma. 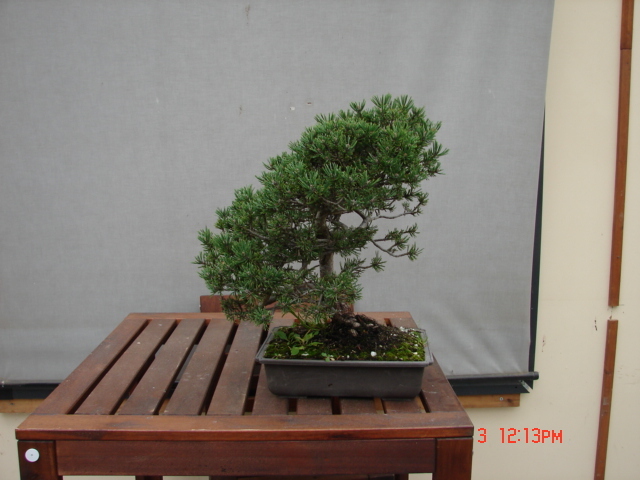 Together with this Common juniper. 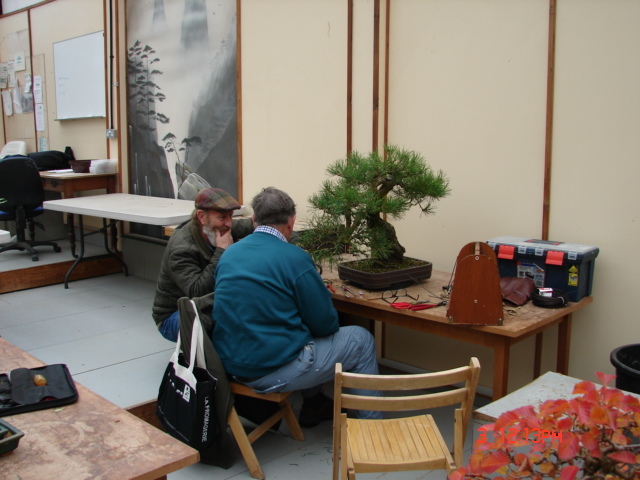 So a really good day that restored my belief in the value of Bonsai Chat to the bonsai community of our region. Great day again at the Chat! 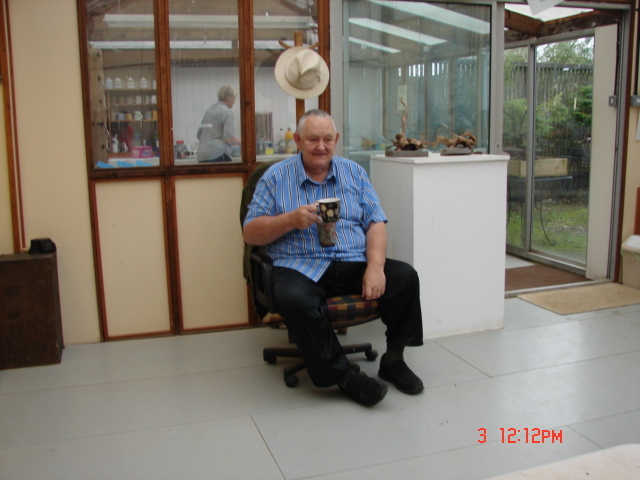 Thanks again to you and Jean. Not being as able to get stuck in as I previously did, and enjoyed, but thankfully I can still assist in giving my opinion and advice. 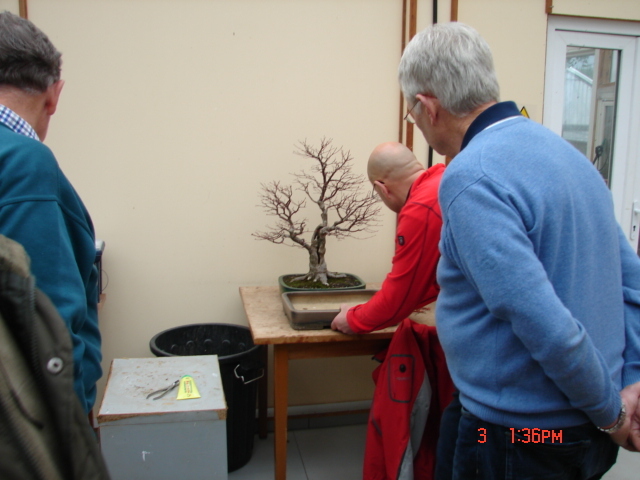 Love getting up to the Chat meeting up with like minded folk with their trees, great crowd of very helpful people. 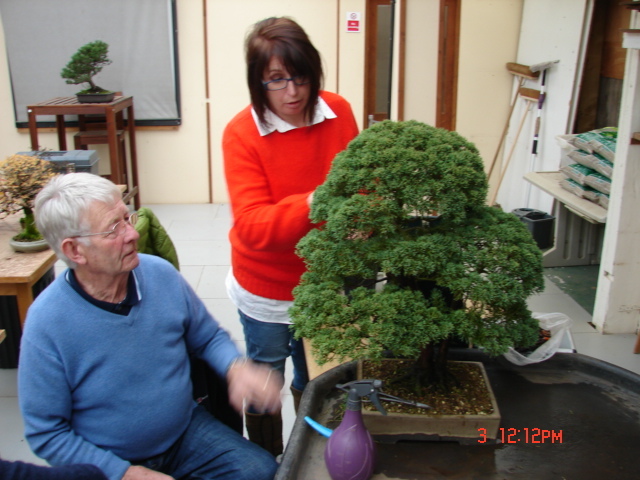 Fantastic to have such a highly rated, quality Bonsai nursery on our doorstep owned and run by 2 very dedicated people, you and Jean.